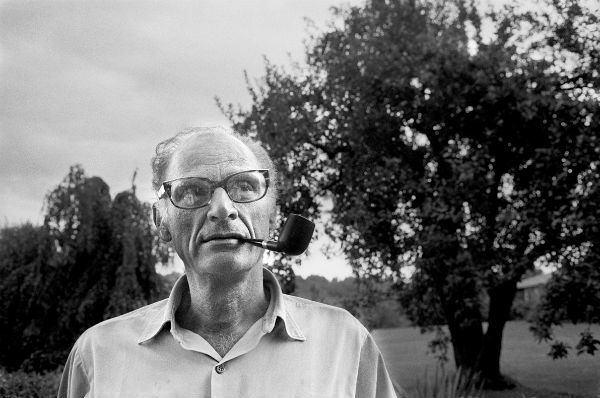 In case you didn’t know it, 2015 marks the centenary of Arthur Miller‘s birth, and what a ripe old time it is for this giant of 20th-century American drama here in Britain. 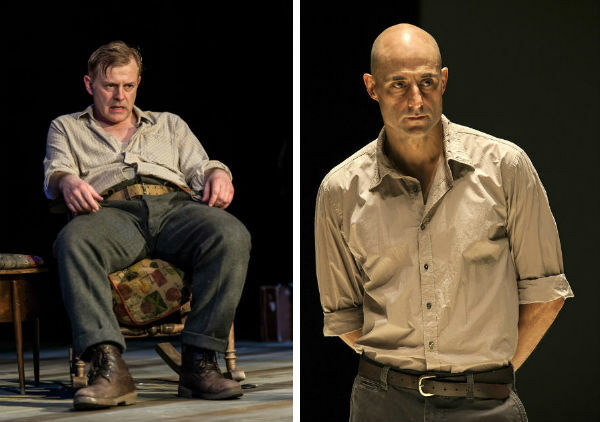 After last year’s incendiary in-the-round production of The Crucible, starring Richard Armitage at the Old Vic, Ivo van Hove‘s award-laden A View From the Bridge, starring Mark Strong down the road at the Young Vic, and an Open Air All My Sons in Regent’s Park, things are really gathering pace now! 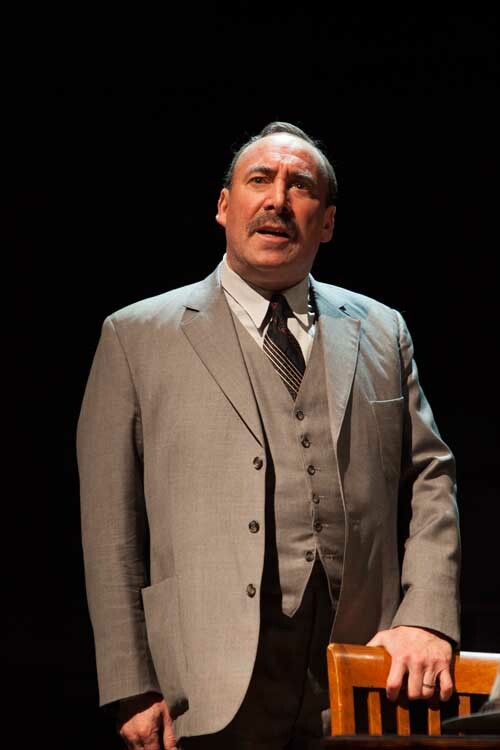 Gregory Doran‘s new RSC production of Miller’s 1949 Pulitzer Prize winner Death of a Salesman, starring Antony Sher and Harriet Walter as Willy Loman and his wife, opened on the company’s main stage in Stratford-upon-Avon last week to rave reviews. And it has already announced its immediate transfer, with the entire cast, to the West End’sNoël Coward Theatre, running from 9 May to 16 July 2015. Meanwhile, just closed last week, Sian Phillips led the cast in Miller’s 1980 tele-play Playing for Time; Talawa is currently touring an all-black All My Sons, led by Ray Shell and Dona Croll as Joe and Kate Keller; and coming up in June in Northampton, Royal&Derngate adapts Miller’s 1947 screenplay The Hook for the stage. And, then, of course, there’s A View From the Bridge – again… and again. 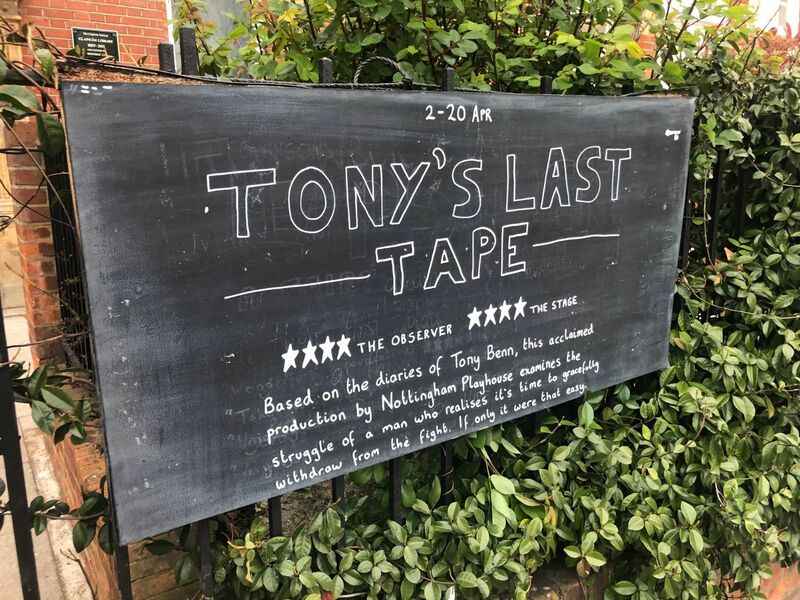 You will no doubt be aware that the Young Vic’s production – still led by Mark Strong as Eddie Carbone, with Nicola Walker and Phoebe Fox reprising their roles as, respectively, Eddie’s wife Beatrice and (overly) beloved niece Catherine – has transferred to the West End. Maybe you were even lucky enough to get a ticket. It finishes its sold-out season at Wyndham’s Theatre this Saturday, just 24 hours before Strong will learn whether he can add an Olivier Best Actor to his Critics’ Circle gong. 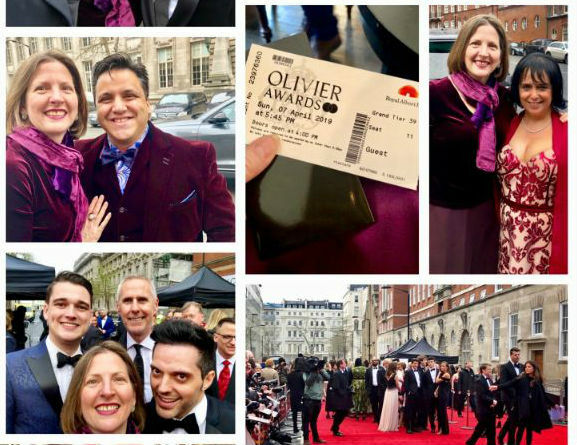 And how many more of the production’s six other Olivier nominations – including Best Director, Best Revival and Best Supporting Actress (Phoebe Fox) – will convert. I was one of those lucky enough to get a ticket to see A View From the Bridge at Wyndham’s, and I was not disappointed. As the myriad reviews confirm, this is a stripped-back, power punch-in-the-face Miller offering, with Strong every towering inch of the fallen Greek god felled by his own hubris. Most people have not seen A View From the Bridge four or five times. Most people have never seen it at all. However, here’s my not-so-guilty confession: this is not my favourite View. Yes, yes, director Ivo van Hove is a genius and, even if you’ve studied A View From the Bridge or seen numerous revivals (I think I’m up to four, maybe five, now), you can be guaranteed that you’ve never seen it like this before – van Hove shines a new light on a modern classic. However, here’s the hitch: MOST people have NOT seen A View From the Bridge four or five times. Most people have never seen it at all. 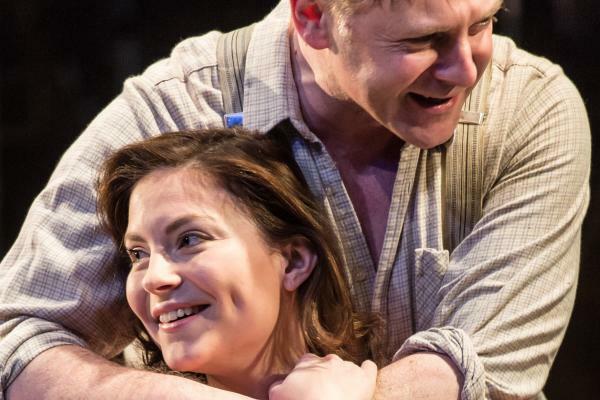 In particular, Jonny Guy Lewis is a simply sensational Eddie, a man trying hard to overcome the incestuous feelings for his niece that he can’t even admit to himself, while Teresa Banham is achingly good as his neglected but ever-loyal wife. 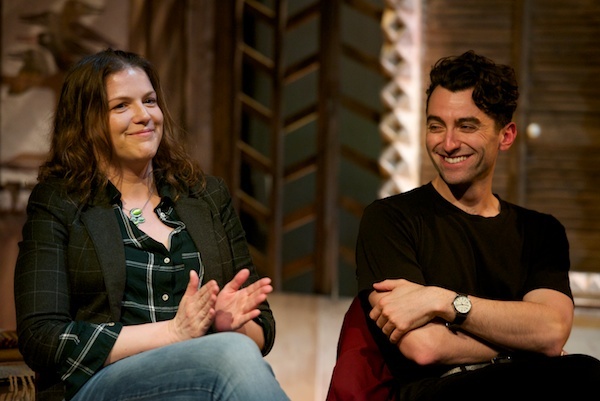 I also love Liz Ascroft‘s set, which – unlike the Young Vic offering – gives you a very clear grounding in the working-class immigrant community of Red Hook, Brooklyn in the 1950s. And, throughout, there are lovely, truthful moments in Unwin’s reading of the play. Here’s one: Eddie, Beatrice and Teresa’s last family meal together before brothers Marco and Rodolpho arrive from Italy. The food is lustily consumed, savoured and appreciated, after which Beatrice carefully spoons any leftovers back into the pot to save for another day. Lest we forget: this is a poor family, every mouthful counts. As part of my work on Touring Consortium’s A View From the Bridge, I got to sit in on rehearsals and interview director Stephen Unwin and members of the company. (Oh, what a lovely company, which also includes: James Rastall as Rodolpho, Phillip Cairns as Marco and many other lovely folks.) Unwin had some great insights on the play and Arthur Miller, which I’ve shared below. 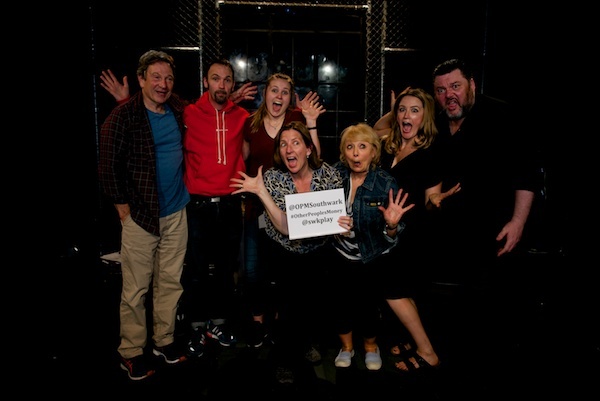 For more interviews with the cast, and tons more backstage content on this alternative View From the Bridge, visit www.theatrecloud.com. You can also get involved with our digital photography MY View From the Bridge competition on the site, which I explain more about in today’s other blog. 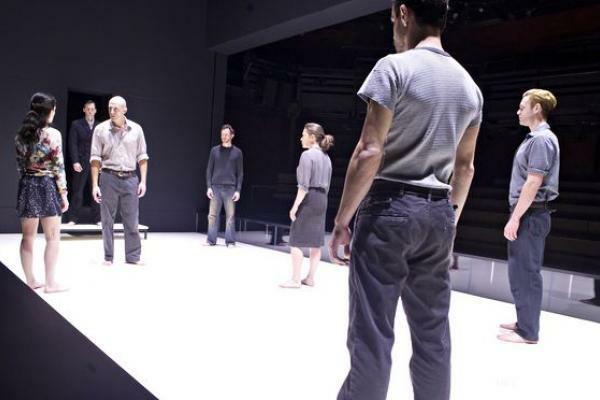 Touring Consortium’s A View From the Bridge is at Coventry’s Belgrade Theatre this week. 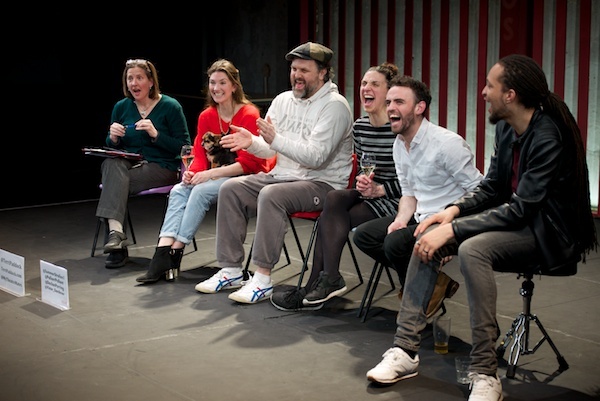 Its last stop is at Edinburgh’s King’s Theatre, 28 April to 2 May 2015.